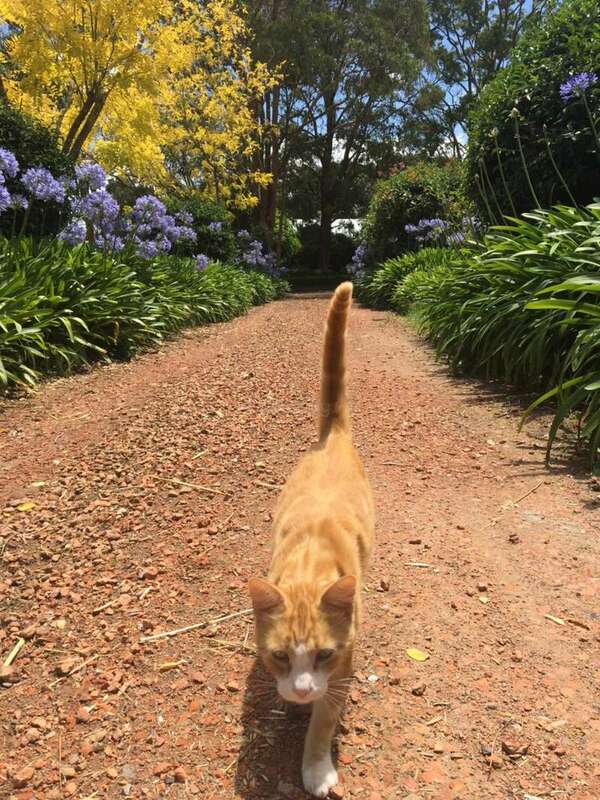 We live on a beautiful 16 acre farm in Arcadia which is an hour north of the Sydney CBD. We are at the end of a very quiet street and surrounded by national park, there isn't a neighbour in sight! There are lots of beautiful walking and riding trails outside out gate yet the shops are only 15 minutes away. Train stations are 30 minutes away so the city and beaches are very accessible. Our workers and volunteers have free use of a great little Toyota Yaris to drive locally so they can get to the train stations and go out and do fun local things on days off. We pay for the fuel and all other expenses related to the car. I (Amanda) have a business with horses. I give lessons and train horses for clients in dressage and show jumping. Before I had children, I used to compete at a high level in eventing. I don’t seem to have time to compete much these days. We usually have between 18 and 24 horses here so it's all pretty busy. My husband, Brett is a builder. He tries to work as locally as possible and also has a long list of jobs to get through on the farm so he's pretty busy too!! We have two children. Toby is 8 and Daisy is 5. They are both at school this year so we don’t need so much help with them. Just having fun playing with them when I have lessons before and after school and on weekends. 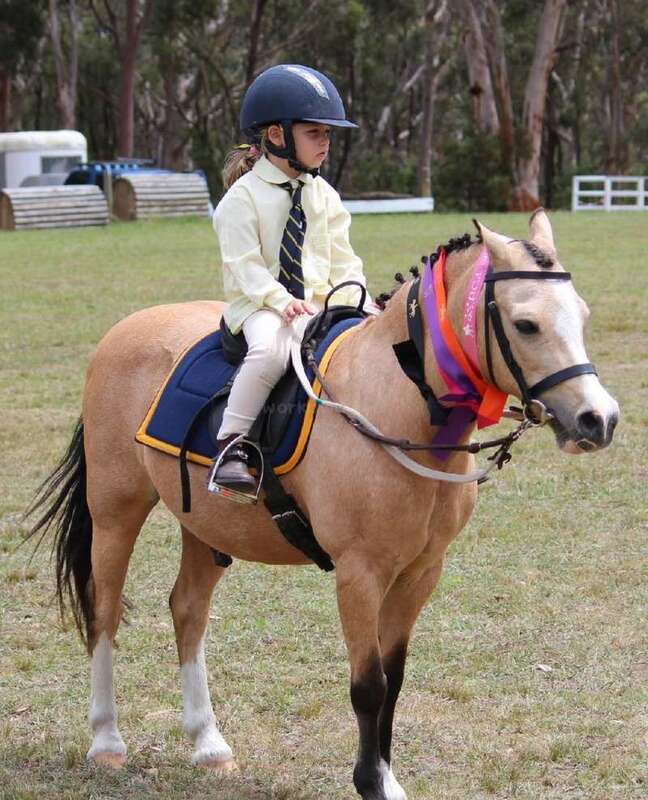 Both children have beautiful ponies and love to go to pony club. They love the outdoors and spend every spare second outside playing or helping with jobs (in their own special way!!). We have a large number of clients who keep their horses at our place and come for lessons. So many of our volunteers have made lifelong friends with these people. Many of the volunteers are amazed at how open and friendly Australian people are. We have also stayed in touch with a huge number of our very special volunteers. We always joke that our children, Toby and Daisy will be able to stay with them and help them with their children and horses when they leave school and go backpacking in Europe!! 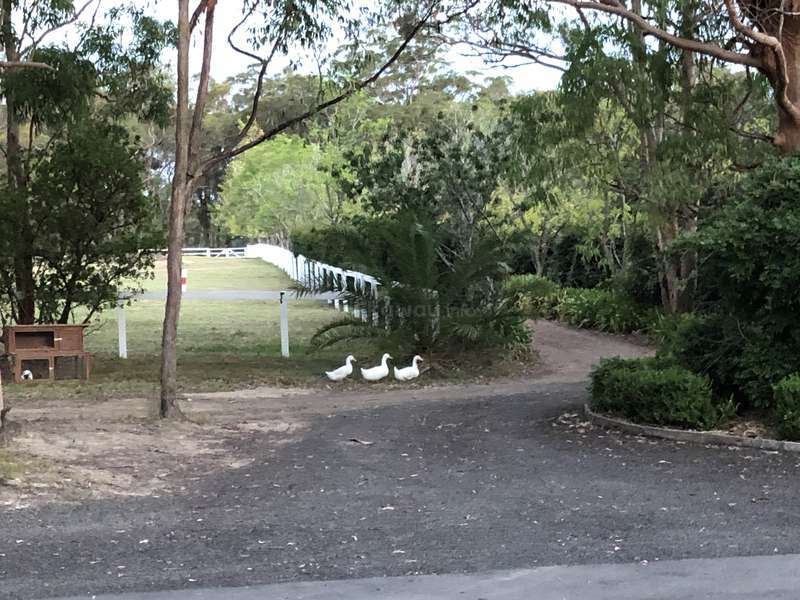 Our place is very much in the Australian bush, we have wallabys, goannas, kookaburras and many other beautiful Australian animals living in our garden, yet the centre of Sydney is less than an hour’s drive away. We welcome all travellers who have some horse experience as most of the help on our farm involves horses. We love having very experienced horse people here, particularly those with a large amount of experience with training horses in dressage and jumping and working with young horses. We do need to make it clear that volunteers who come here should not assume that they will be able to do lots of riding. 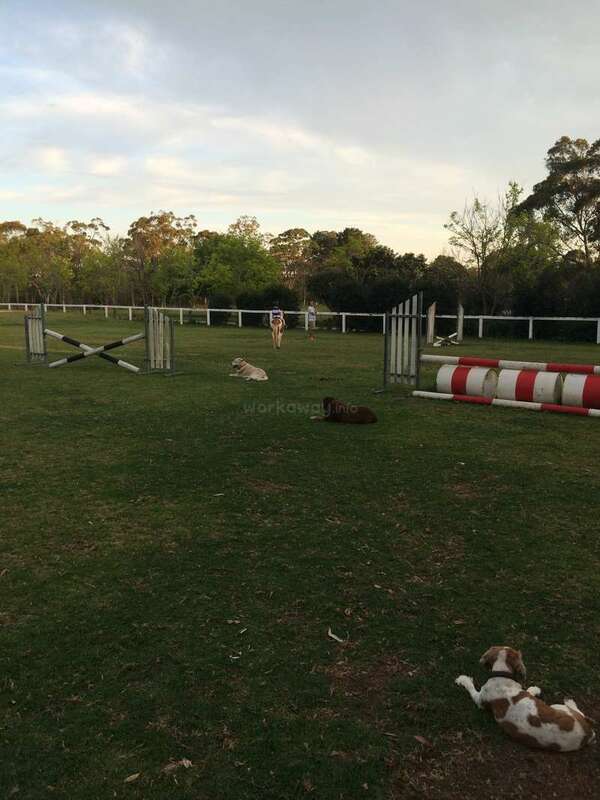 Most of the horses here belong to clients and need to be trained to a very high level in dressage and jumping, not just ridden around the paddocks. There is, however, a large amount of riding for the very experienced riders. If you can ride safely we will do our best to make sure you have the opportunity to do some riding every week as we want our helpers to have the most enjoyable time possible. Depending on the volunteer we would also love a small amount of help with looking after the children - basically just having fun playing with them and keeping them safe, nothing too mundane! For those with good horse handling experience we'd love help with the horses - all the usual grooming work, feeding up, rugging, tacking up, hosing off etc. For those who love to be outside but don't have so much experience with horses there's always a lot to do keeping everything tidy outside, gardening etc. You could never get bored here. There are great walking trails, two big shopping centres with cinemas are 30 minutes away as are two train stations so it's easy to get into Sydney. Sydney is an amazing city, it’s so beautiful and there’s so much to see and do. The beach is an hour away from our place, Berowra Waters is a 20 minute drive and Wisemans Ferry is just a little further and both these places are absolutely beautiful. Many of our volunteers save up their days off and go away for 4 days in a row to places like the Blue Mountains, Hunter Valley, Canberra and even New Zealand! It’s easy to be based at our place and feel like you’re right in the middle of the Australian bush, but still get to see a huge amount of Australia as we are so close to Sydney and public transport. I spent a month at Amanda's farm and I really enjoyed my time there. For the first two weeks Amanda and her family were away on holiday, so we took care of the farm all by ourselves. We were mostly a group of five girls from different countries and we had so much fun working together and hanging out when we had some free time. There was quite a… read more lot of work to do and it wasn't easy sometimes, but I enjoyed it. Mostly it was feeding the horses, tacking them up, mucking out, riding, but sometimes we needed to do some other things like grabbing the leaves or cutting the flowers. I loved trail rides in the bush and training James, a cute 3-year old gelding. I also looked after the children quite often. Daisy and Toby are such great kids and I had so much fun spending time with them. I also loved playing and cuddling with their dogs Meggie and Jasper. Amanda usually texted us list of tasks and we didn't spend that much time talking to her because she was mostly busy with lessons and kids. But we still shared some nice moments when having dinners at their house. Our little studio was not a luxurious home but had everything that we needed. We could also use car to go grocery shopping, to the nearest pool or even to a national park close by. On my days off I went to different places, like Sydney, Blue Mountains and even Gold Coast. In general it was a great experience and I really miss the place and the family. I hope I meet them again sometime. I stayed at Amanda’s place for two months and I couldn’t have chosen a better first Workaway experience!!! As the first spanish girl they had I hope I left a good impression. I learned so much in those few weeks I don’t even know where to start. Amanda would text us every morning with the list of things we had to do that day, it helped a lot to… read more have the tasks in your phone so we could check every time we wanted. Amanda is really nice and she never had a problem explaining us something we didn’t understand. We worked a lot, but I couldn’t have been happier doing it! Being around horses all day was the best, even though not all the work was about them I learned that there’s a lot of other important things to do to run a business like this one. Toby and Daisy are really sweet kids, they would come up with the craziest stories while we played! We had a really good time riding our bikes!! Brett, Amanda’s partner, is the nicest person I’ve ever met, always ready to help us with whatever we needed. I really enjoyed talking with him about all the work he has done! 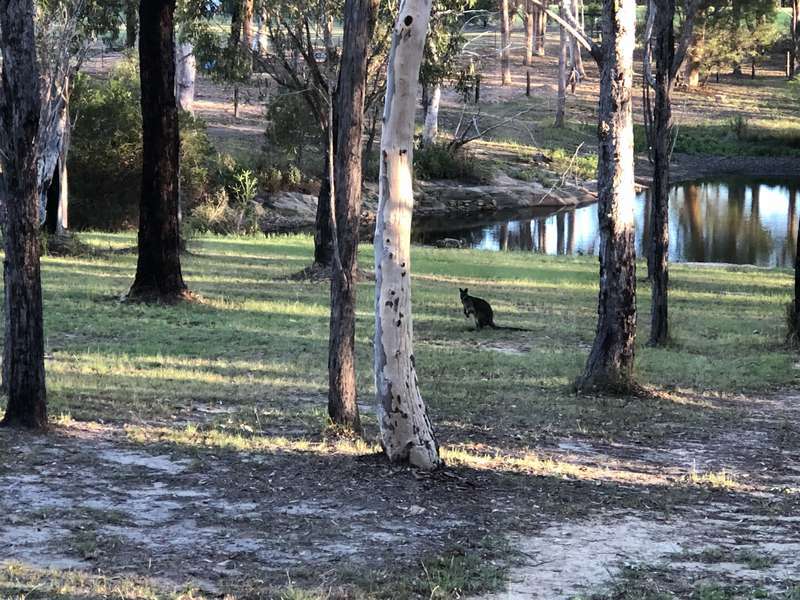 The location of the farm is perfect, you’re close to the train station, but surrounded by nature, I was able to see some wallabies! If you have the opportunity you should accompany Amanda to Wisemans Ferry, it’s a beautiful ride and maybe you will get to see some kangaroos. One of my favorite things about Amanda’s place is the amount of other girls you met there from all around the world, I made really good friends!! We had a really good time going to the movies, national parks or out for dinner sometimes. Amanda would let us take the car whenever as long as we asked first and told her where we wanted to go! Most of the clients are really nice too, I loved spending time with some of them talking about their horses. One of them even took me to a dressage competition!!! I was really lucky! I had an amazing time here and I can’t wait to go back one day!! Thank you so much for everything and I hope you all will have a great time in Canada! I got so much more experience during the nearly 4 Weeks I stayed with Amanda. I enjoyed the time with the horses and of cause with the other helpers. We always ate and prepared dinner together, this was always a good time because you can exchange so many experiences and learn about different cultures. The work over the day is not that hard but… read more you need more than 5 hours. Mostly someone has to look at the kids when they are back from school (only a few hours) or at the weekends (the whole day). This task is usually for helpers who don't have much experience with horses. If you can ride really good you're allowed to school horses. But also if you can't ride that good you will have chances to ride, for example on the trail through the bush. You also have to do things like raking up leaves or mulch. During my stay I also had to clean a ducks wound because it was attacked by a fox. So you can see your tasks can be very varied and you will learn some new things. What should be mentioned is that in the "flat" one of the beds (my bed during my stay) stands nearly in the kitchen and the kitchen consists of a microwave, a little oven with two stoves and a big fridge. First it was kind of difficult to cook but after a few days you learn how to cook every meal you could imagine in this kitchen. I really liked my stay with Amanda and both the kitchen and the bed in there was no problem for me. I think it was a great experience! And I really want to appreciate that Amanda has a really big trust in every Helper. Sometimes this trust is a big load because "old" helpers have to teach the new helpers how to do everything and if you forget something to teach until you leave, your knowledge gets lost. Anyway my stay was awesome and I got used to so many cool people! I will never forget this time. For my first workaway I chose to go to Amanda's farm and I do not regret it !!! I stayed there for 3 months. The days pass but are not alike. Here, I had meet many people: Horse owners, riders.. I had the opportunity to see a rider on a international dressage competition in Sydney. I also met several times the vet, each of his visits was… read more interesting, he always took the time to explain & show his manipulations ... and the list of people met does not stop there. We are brought to meet many warm people. You can always have a talk to everyone. If we have a problem, a need, amanda and Brett are always kind. I have never lacked anything, the installation in the studio is great. In addition to working in an exceptional setting among many animals, the location of Amanda's farm is ideal for discovering Australia. Access to Sydney is simple, and the beaches are close. I was able to walk with breathtaking views, go to a rudby match ... and all this thanks to the medium set up by Amanda. I leave with full memories. Many thanks to Amanda and Brett. Thanks to you I learned about Australia and practice riding. The perfect combination. I’m very grateful to Amanda for this unforgetable experience. I was stayed 3 month for a school internship. I Felt right at home. All the family welcomed me very well. Brett and amanda were always available when you need something. Toby and daisy are absolutly lovely and funny. I will miss this kids. I met a lot of amazing people during this… read more internship. All the clients spoke with me and i could create links with some of them. Furthermore, I worked With people of different nationalities, it was really interesting and Awesome. Sophie is one of the most enthusiastic and energetic girls we have ever had at our farm. On her days off she was always asking if she could do more work with the horses, we couldn’t stop her! She had a lovely way with the horses and they all improved so much with her training - I think they knew how much she loved working with them! We had some… read more very hot days when Sophie was with us but not even the hot weather slowed her down, she was absolutely amazing!! I stayed at Amanda's and Brett's farm for 3 months and had a really great time. I met so many different girls and friends of Amandas family. The clients are all so lovely you can always have a talk to everyone. We were around 3-5 girls at the farm and were able to do so much stuff around the farm in our freetime. Driving to Berowra waters on hot… read more days to go swimming, going to the cinema, into a Cafè or visit friends of other farms. You always get 2 days of a week to go to Sydney or just relax on the farm. Beacause of Amanda it was also possible for me to fly to New Zealand for a few days to have a little holiday. I was allowed to ride so many different horses and improved my riding a lot because of that. I just loved the horses over there. We met little Chip Amandas foal. We had to spend a lot of time with him every day, taught him how to be leaded and how to go on the horse float. We taught his bigger brother how to be lunged. They were so cute. 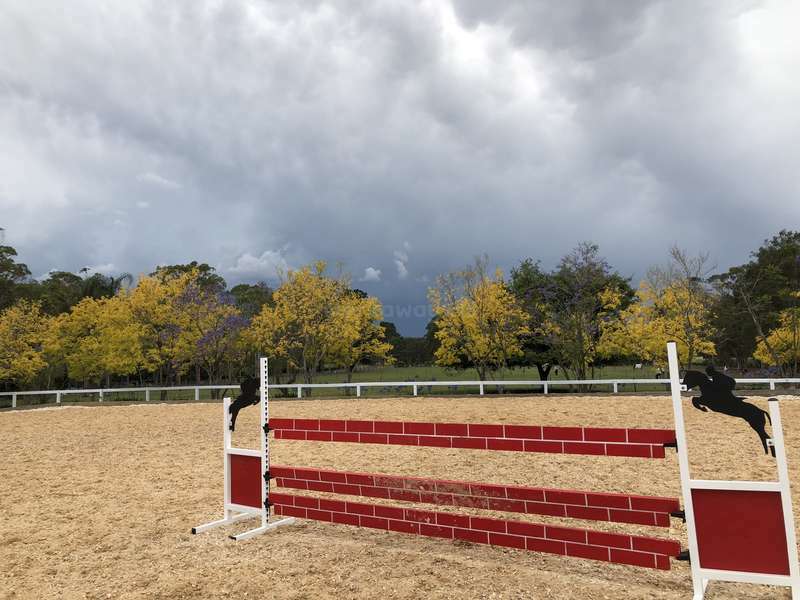 The dressage arena, the cross-country jumps and the jumping paddock are perfect to ride in. Amanda took me to the cross-country course a few times which was my first time doing cross-country and I enjoyed it so much. We went to Pony Club with the kids and it was really interesting because its really different to germany and the atmosphere there is really lovely. The list we got everyday included a lot of different things to do. Gardening, tacking up horses, cleaning there gear, playing with the kids, walking up the trail or schoolong horses. We had a few really hot days up to 45 degrees. On those days we always got a really long break in the middle of the day and we didn't have to work in the heat. We could drive into town or to Berowra. I had a lot of fun nights with the girls sitiing around in the flat, coocking dinner together, bouncing on the trampoline with the kids or having our "endday coke". The highlights were definetly our farmpython Penny who visit us quiet often, Eddie the Huntsmen, the Guanas, The fox and the Wallaby and the Yellowtailed black Cockatoos or the bearded Dragon we caught. The area they life in, directly next to the national park, is just perfect to see a lot of the Australien wildlife. Thanks for this great expierence. I would always come again! Johanna was another wonderful workaway girl who we wanted to keep forever. She was always happy, always smiling and so lovely to have around. Johanna is the kind of person who will have a positive experience no matter where she goes. She has such a great attitude, all our clients thought she was amazing and she couldn’t do enough to help everyone.… read more There was an incredible positive vibe while Johanna was at our place among our helpers and I’m sure she had a lot to do with it! I hope she comes to visit us again one day!!! I stayed at Amanda´s farm for six weeks and I had an incredible time. The farm is beautifully located and it´s easy to go somewhere on your two days off per week as the workawayers have their own car. Amanda´s family is lovely and I instantly felt comfortable. The most amazing thing about my time at the farm was the people I met there. I met a… read more lot of girls there and because we lived together for a long time we became close friends. Of course there were good and bad days, but in my opinion this is normal. The work was okay, but as we were about five girls we could always help each other and had fun doing the work together. Be prepared to muck out as there are about 20 horses, play with Daisy and Toby, keep the whole place clean and tidy. On some days you get a short list and lots of free time whereas on other days there´s more work. On very hot or rainy days you don´t need to do too much and can take the car to Berowra Waters or a cafe in Dural. Experienced riders get to school a lot of the horses while the other girls take some horses down the trail, whichis relaxing and nice. I also loved the accommodation. I slept in the lovely new studio with two other girls. the older granny flat is very cozy and as long as everyone contributes to keep the place clean it´s absolutely great to live there. You can go shopping to Aldi with the car and just get everything you need, whis is amazing. So all that´s left to say is thank you Amanda for this amazing time and thanks to my girls who blessed my stay at the farm with friendship and love! We just loved having Emma at our farm. Nothing was ever too much trouble. She was amazing with the horses and was so lovely to have around. All our clients also thought she was wonderful. We were all so happy when she changed her plannned stay of 6 weeks to 12 weeks, we wanted her to stay forever!! The kids loved their fabulous presents from… read more Scotland and we all miss Emma lots and lots! I stayed at Amanda‘s farm for just under three months despite only planning to stay for six weeks. I was able to train Amanda’s horses as well as some client horses every day which I really enjoyed and I also appreciated being able to have independence to work on different things with each of them. 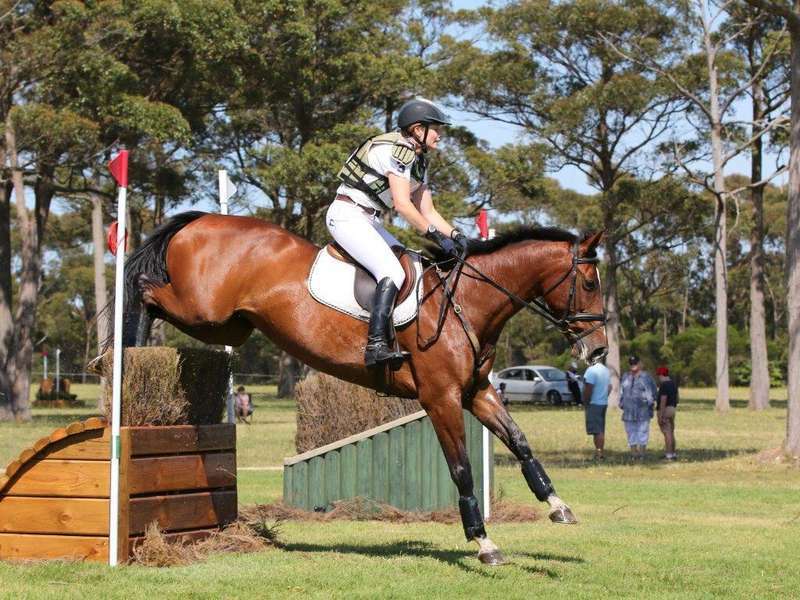 Amanda tried to insure that I was enjoying riding… read more so many horses every day as well as trying to make my experience as positive as possible by giving me lessons in other locations with young horses and taking them cross country training which was great fun. One of the hardest part about being here was saying goodbye to the truly amazing lifelong friends that I made. Some days can be long and tiring but if the other workers are enthusiastic and fair then time passes so quickly and the days are amazing. Amanda is a busy family person with two lovely young children but also tries to make all of her workers feel as comfortable as possible and help out if there are issues. Sometimes this can be hard if problems arise between the girls that is out with her control. I have such fond memories of my time here. I really want to go back I really bonded with her lovely horses and I genuinely miss them so much Thank you Amanda and thank you to all of your lovely customers who I also formed great connections with which have lasted well beyond my stay in Australia. I stayed 3 weeks at Amanda's place. We were 4 girls living and working together and that was really nice, but the thing that I found a bit bad is that we don't really meet Amanda before the dinner when we are leaving. I think this dinner is a nice idea to know each other, but it would be maybe more useful to do it when the girls arrive, because… read more else in the day we just see Amanda a few minuts. I totally understand that she is really busy because she always do lots of things, but in my opinion workaway is not only working but also sharing the life of the family and discover its way of life, and that felt there. Amanda seems to be such a great woman, that's why it would have be good to spend more time with her, but we are many to work and I understand that it's not easy for her to spend time with us. About the work, we began at 7:30 to feed the horses and we work (mucking out, raking, preparing horses, play with the kids,...) until 17:30 (we finish by feeding the horses). Between 7:30 and 17:30, we have about an hour of breakfast and an hour of lunch (sometimes very less, depends on the things that we have to do on the list), so it's really more than the normal 5-6 hours per day. But you have to know that in exchange of this lots of work, we have nice flat, kitchen and bathroom, we could eat very healthy by buying what we wanted to cook, and we could take the car in our days off to visit, and that is a great thing that I never had in another workaway, so I'm thanksful for that ! And also about horse-riding, I expected to can ride a lot but Amanda train the horses to a high dressage level and I don't have it, but I thank her to let me ride a few horses and let us time to have big trails with the horses few times a week ! We loved having Lucy at our farm. She was like a breath of fresh air, always smiling, always happy. Nothing was too much trouble for her. She was always wanting to do more jobs, she got everything done so quickly and efficiently and smiled at the same time! We thought she was wonderful and were sad to say goodbye to her. Great farm and lovely family. I spent one month there, living in an apparment with four other girls with our own kitchen, car, etc. The girls and I were able to ride on the trail for a few times and most of the work was about feeding, preparing horses and childcare. It is also close to shopping opportunities and the bus station. I stayed for three months at Amanda’s place and I had a lovely time there. Of course there are good and bad days, but as there are a lot of different tasks you have to do it’s normal. About the tasks - expect to muck out, feed the horses (around 20 horses), prepare horses for lessons, look after the kids and keep the place clean. If you are a good… read more rider you are going to school a lot of horses everyday, if not, you will go for a big walk down the trail occasionally. The accommodation is really nice. The studio is quite new with three beds compared to the older granny flat with two beds, the kitchen and the bathroom. You will have a car to go shopping at Aldi and to discover the local area. It’s 30 minutes driving to the next train station to go to Sydney on your two days off you have every week. It’s also near cinemas, shopping centers and Café’s. I really enjoyed my my time there, the family is really nice and if you get along with the other girls who work there it’s even nicer. Jara was one of our all time favourite workaway girls (and we’ve had some good ones!!). She was always happy and so willing and helpful. She really contributed to the wonderful positive vibe we had around the farm while she was here. Jara is a seriously talented rider and schooled many horses to a very very high standard which made my life so much… read more easier. Jara was also lovely with our children and friendly and welcoming to all of the clients who keep their horses here, they all also thought she was wonderful. We miss you Jara!!! I stayed 5 weeks at Amanda's place and I really enjoyed this time! The list we got every morning had many different things on it, so we could split the work and do what we preferred. We never had to do everything that's on the list, we just did as much as we could. The work included riding, what is really nice! You can ride 3 to 5 horses a day,… read more if you'd Iike to. You can also ride 1 or 2 or none (depends on your riding skills and what you want). The rest of the work was playing with the children and normal farm work (like mucking out stables, feeding, watering, getting horses ready etc.). Everyone has 2 days off every week, when you can take the car to the train station and go wherever you want to: beaches, Sydney, shopping center and so on. Amanda is a very friendly person and wants everyone to be comfortable. She is really thankful and appreciates all kinds of help. She always makes sure that everyone is fine and is willing to help with problems. 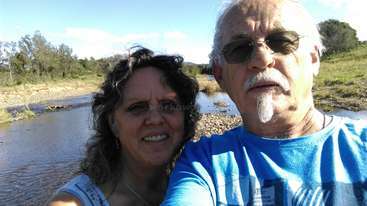 I stayed with Amanda for a month in September 2017 and it was a great! Although I'd heard some negative stories beforehand, for me it was the best experience up till now. Amanda and Brett are really nice people and really make an effort to find out what will suit you best and want to make your stay as pleasant as possible. Yes, there is a lot of… read more work to do and some days can be long, but that's what you get if you want to work with horses. Because I also train horses back home, Amanda even took the effort of getting her two year old gelding to the property so I had my own little project of making all the preparations before she could start to ride him the next year. When I was there we had the best team ever! We worked perfectly together, shared the tasks and took turns with cooking for each other. We discussed our plans so everyone was happy with which two days they got off that week and we had a lot of fun shopping at Aldi's together with the creditcard and car Amanda provides for the volunteers. At Amanda's I believe you get exactly what you give, because our team gave a lot and we got plenty back in return. I think the people who had lesser experiences here, just weren't really suited for the place. Which is fine, but that doesn't mean the place is bad. If you want to experience what it really means to work on a horsefarm (I mean not just grooming, cuddling and riding, but actually taking care of the property, mucking out and assisting wherever you can), this is the place to do it. Amanda gives a list every morning with the tasks that need to be done that day and unless they are timed (because lessons need to start on time ;)) you can pretty much do the tasks in the order you want. I stayed at Amanda’s & Brett’s farm for 3,5 weeks. It was my first workaway experience. Their property is really beautiful with ~20-25 horses and ponies and great facilities for riding (arena and jumping area). Work starts at 8AM with feeding the horses, mucking out every 2nd day, preparing horses for Amanda or customers having a riding class… read more with Amanda, school the horses, do mowing, rake up the leaves from the many gumtrees around the house, pick up branches, take care of her 2 kids (7 and 4), while Amanda is giving lessons, and whatever there is to do in addition (every day there is a To-Do-List). I do have to state that the working hours were not 5 hrs per day. It’s basically a full day from 8AM to 5.30/6PM. If there are more than 2 workawayers you can organise yourselves so that everyone has a break. Every week there are 2 OFF days. We lived in a separate studio, which was very nice. The kitchen and bathroom are behind the shed in a separate unit, which is already older. There is WIFI, which is sometimes very slow. We cooked for ourselves and could use the car to go shopping in the next town. Workawayers’ life on the farm is separate from the family’s (my idea/expectation about a workaway stay was a bit different though). On one weekend Amanda invited us to go to the World Polo Championships with her family, which was a great experience as I have never been to a Polo game before. Make sure you have an Australian phone with you, because it’s easier to communicate on the farm. Unfortunately we were not allowed to use the shared car for any day or weekend trips (just very local drives). Nevertheless I enjoyed my stay on Amanda’s farm, because it was a great experience and I met a lot of very nice people (workawayers (mostly Germany) and also Amanda’s customers). Thank you, Amanda & Brett, for the 3,5 weeks I could spend on your farm! All the best for the 4 of you! I spend 5 week at Amandas farm. The experience overall was good. I felt it was very healing experience to work outside and be involved with horses and kids, do physical work. Before this stay i thought that i wasn't comfortable with kids, but her kids changed my feelings about that by beeing so nice. I really enjoyed spending time with them… read more playing, riding bikes, jumping on trampoline etc. Now i think i could even have a job with kids, so thank you Toby and Daysy! There were two things that bothered me. Usually Amanda wanted us to work more than 5 hours per day. I did talk about that to her and she said it was ok for me to stop working after five hours. But many days i felt that was impossible. I didn't want to leave other girls in trouble and there were few days when i had to work alone (feed all the horses and do other stuff too). Other thing is that communication was quite bad with all the messages and with task list. There were many times that I missunderstood something, did wrong things and felt really bad about that. But on the other hand i do understand that Amanda is very busy and simply don't have time and energy to communicate and talk to volunteers. But other than those two things i really enjoyed my time at the farm and i made lifelong friend and also made stories to tell! And it was cool that we had the car to use. And also i think i haven't ever eaten that healthy that i did here. She gave us credit card and we could buy anything we wanted from Aldi. Berries, different kind if seeds, nuts etc. I really appreciated that! Laura was another of the amazing Workaway girls we've been so lucky to have at our place. The 6 weeks she was with us went so quickly, it was so sad when she had to leave us and continue her travels around Australia. Laura was always happy and nothing was ever too much trouble. She was so responsible and trustworthy and a joy to have on our farm.… read more I hope she comes back to visit us before she leaves Australia for good! We all miss her so much!!! I absolutly enjoyed my stay at amanda's place. First i planned just a stay from about 3 weeks, but i loved it so much that i could stay longer and in the end i stayed about six, seven weeks. If you love horses and animals and being outside all day, then this is something for you. At my time there, i could work all lot with different horses, and… read more could take a lot of responsibility which i really liked. I meet amazing girls there, we were like family , we had nice, funny evenings together and the teamwork was great ! After a time this place felt like home to me and gave me a lot of energy back, after a long time of travelling through australia. I loved the daily tasks like feeding , grooming, making horses ready for the lessons, and there were also always different tasks every day, so it never become boring ! Amanda and Brett the hosts, are both so nice people, always helpful and friendly ! I will never forget my special time on this farm, all this great experiences i had and the amazing people i met !! Thank you so much for everything Amanda !!!!! We all ADORED Ines! She is such a special person and everyone was in tears when she left this week. It was such a lovely bonus that Ines decided to come back to our place for her last month in Australia after spending time travelling with her parents. Ines is always happy, always calm and always willing to help in any way possible, she's not very… read more good at doing nothing! Ines was very quick to understand how everything worked with the horses at our place and was happy to take on lots of responsibility. I always knew when I needed to order hay and feed and it was so lovely to have such a reliable girl here. She promises she will come back in a few years, I hope so!!! I spent almost 2 months at Amanda's place and I loved my time there! I came here for both the horses and the teamwork, I was not disappointed!! I could ride horses down the trail and school some horses in the arena. I loved it!! We were always at least 3 or 4 workers (great for teamwork!). We have our own studio and flat with kitchen, TV,… read more bathroom and really good wifi (awesome for series time!!). I've met amazing backpackers at this place! We always help each other with the tasks (feeding horses and pets, mucking out, picking up sticks, making horses ready for lessons, ...). Some days can be really busy but the teamwork makes everything! Also, we have 2 days off per week and we can choose each week what days we want (ideal if you want to spend two days at the Blue Mountains and see both the sunset and the sunrise ;)). Amanda and Brett (the hosts) are both such lovely persons. They are busy but if you need anything they will always make their best to help you. I could say more but I already wrote a lot! Feel free to contact me if you want more details about this beautiful place! Thank you Amanda for everything! Definitely one of my favorite experience in Australia!! We absolutely loved having Magdalena at our place. She was amazing with the horses, rode really beautifully and had a wonderful practical attitude. Nothing was ever too much trouble. Magda was also so clever with the time she spent in Australia. She was here for 2 months and was based at our place for all of that time. But she managed to see so… read more much on her days off by managing her time and having 3 or 4 days off in a row. I can't remember all the little trips she went on but I know she explored Sydney and it's nightlife, went to the Whitsundays, Blue Mountains, Northern Beaches and Canberra plus some other places, all while being our workawayer! A very clever girl!! We miss her. Amanda is one of the kindest people I've ever met! Her family is lovely and the place is beautiful. I was there for two months and it went by like two days. I wish I could have stayed longer! If you have any doubts about writing to Amanda, stop - you will have an amazing experience! We absolutely loved having Sabrina at our farm and we were all so sad when it was time for her to leave, we wanted her to stay forever! Sabrina is such a lovely gentle and happy person. 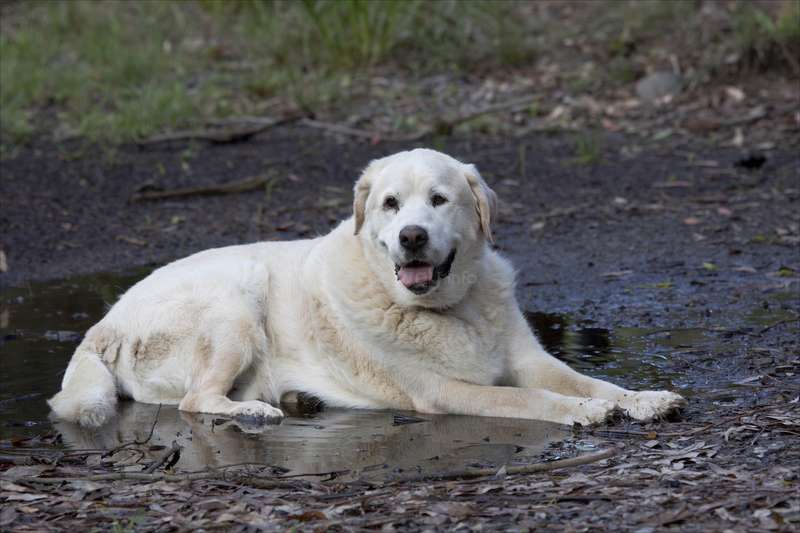 Nothing was ever too much trouble and she coped so well with the hot days, always with a smile on her face. By the end of her stay with us Sabrina had taken over… read more full responsibility for all the horses and she was 100% reliable. It was lovely to keep in touch with her during her East Coast holiday. We were all so sad that we were away on holidays when Sabrina came out to our place to visit all her friends before she returned to Austria. 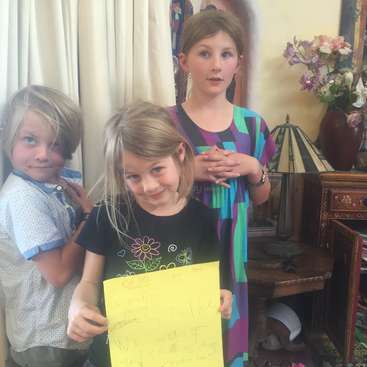 Hopefully the kids will visit you when they're older and are backpacking through Europe Sabrina, they adored you!!! Thank you so much that I could stay with you and your family and sorry that I write the review late. Within these 2 1/2 months I had such a great time and I really enjoyed it. I gained so much experiences at your farm I will remember my whole life. You told me it was one of the hottest summers you have had therefore I wanted to thank you that you… read more had a look at the weather so we didn't have to be outside and work when it was so hot. Also I wanted to thank you that I could ride horses down the trail as I used to ride at home for a long time and could start it here again. I always had something to do during the day like feeding all the animals, preparing a horse for a lesson or being with your lovely kids, Toby and Daisy, so I never got bored. If I will come back to Australia and would work as a volunteer again your farm would be the one I would go to and I can only recommend it coming here as you will love it here. 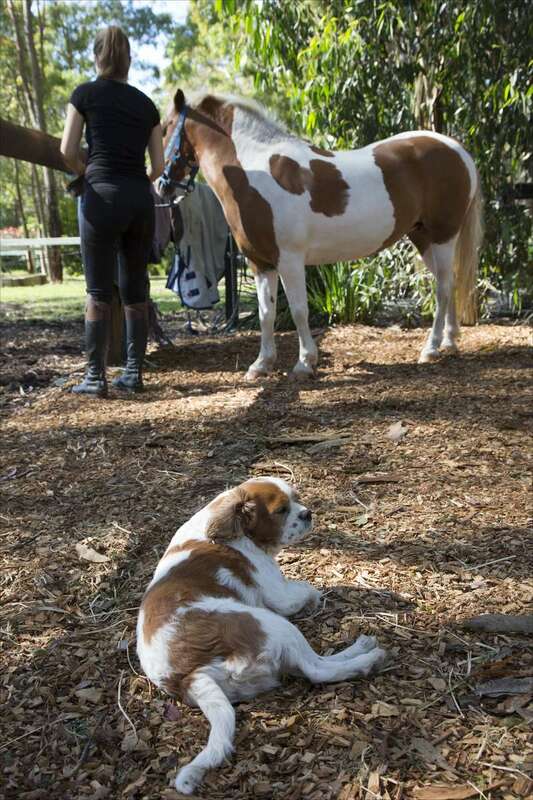 And what's better than exploring the Australian lifestyle and wildlife than on a horse farm? So thank you again for having me for so long I really loved it and hopefully I will see all of you again before I leave or when I am back in Australia. Juliet and Kirsty both arrived with such perfect 'can do' attitudes. They were always happy and smiling and our place had such a wonderful positive vibe while they were here. All the clients who keep their horses here also loved them and kept telling me what lovely diligent girls they were. They are the sort of girls who will cruise through life… read more because of their attitude towards it. I hope they can both come and visit us again the next time they're in Australia as we'd love to spend more time with them. Thank you for looking after everything Juliet and Kirsty, we just loved having you here!!! We spent 3 weeks here with Amanda and her family. Over this time we enjoyed looking after the horses and looking after her two lovely children. There were many opportunities to ride the horses down the trail, which was really enjoyable, especially on the bright sunny days! With being two girls who love the outdoor lifestyle, all the jobs in… read more the garden and around the paddocks, which varied from day to day, including weeding, raking leaves and making sure the areas were clear of sticks suited us perfectly. We were given the granny flat to stay in which had a fully equipped kitchen and bathroom. You could relax watching the TV/ DVDs in the evenings. We had full use of a run around car, which allowed us to pop to Aldi or explore further on our days off. We both enjoy walking so we chose various walks including sections of The Great North Walk which were located nearby. We also made a few trips to Hornsby, where we went to the cinema. We would like to thank Amanda and her family for having us, and would recommend this workaway to anyone who loves the outdoors, and spending time with horses and kids. Even though Lisa was only at our place for 3 weeks we will never forget her. She was such a great girl and the children felt so comfortable with her right from the beginning. They loved it that she came to their first ever pony club competition and they had so much fun every second they spent with her. Lisa was also great with the horses and we… read more knew we could trust her from the moment we met her. We were just sad that she could only stay for 3 weeks as she was such a wonderful person. I spent 3 weeks on Amanda's farm and I really want to thank her and her family for the great time I had. I slept in a comfortable room in the house. I used the kitchen and the bathroom in the flat, which were nice and tidy, too. The jobs I had to do weren't really hard, most times I had to pick up some leaves or sticks, tidy everything up… read more around the sheds, muck out the horses and make them ready for the riders. Everytime, Amanda had a riding lesson or rode by herself, one of us girls had to look after her two lovely children. Two times, I had the choice to go with Amanda to a show jumping and to the pony club, which was really nice and fun. Also, I had many opportunities to go for a ride down the trail or sometimes in the arena. On our days off, Amanda told us some nice places to go with the car, which we can use all the time we wanted to. So, I really want to thank Amanda for having me and I would recommend her lovely place to every workawayer, who loves being outside around horses and spending some time with children. We just loved having Silyana at our place and the only bad thing was that she could only stay for 3 weeks, we wanted her to stay for ever! She was such a lovely easy going girl to have around and nothing was ever too much trouble. The children also loved her which is always important! She is the sort of person who will have fun wherever she… read more goes as she has such a lovely positive attitude towards life. Thank you Silyana!!! I stayed with Amanda and her family for 2 1/2 weeks and had a really great time. I first stayed in a lovely room in the house and then moved to the granny flat which is really close to the house and equipped with everything you'll need (kitchen, tv, ac/heater, bathroom). The daily work was never too hard and included taking care of the horses… read more (feeding, grooming,..), playing with the two lovely kids and work that needed to be done around the farm (mucking out, raking leaves,..). Amanda also tried to give us a lot of time to ride, which was really great! A great plus is the car you can use whenever you need! We used it to go grocery shopping and for trips on our days off. I just want to thank Amanda for everything and i can really recommend this place to anyone who loves horses, kids and working outside!! We loved having Dehlia and Fabien in our home. They are two very genuine and very very lovely people. We were just sad that their stay in Australia was so short and they could only spend 3 weeks of their time with us. Dehlia is a seriously talented rider and an alround great person and Fabien was such an amazing help and even very cool with the… read more kids - they loved him - he and Daisy had some crazy times together! We hope to stay in touch with these two forever and hopefully see them again one day. Thank you Dehlia and Fabien!!!! We spend about 3 weeks Amanda and her family. We met lovely people and we shared a great experience with all of them. Everything was as described on workaway. The day where passing quickly (I really ride a lot and my friend was also busy with the other task). We were sleeping in a lovely bedroom in the house and were having a lot of fun with the… read more other in the flat during the evening. We could use a car every time that we need it and it was very useful to do some activities during our days off (it's really easy and quick to go to Sydney from there). We really enjoyed staying there and we can only recommend to go there if you'd like to help with horses, childcare and share an unforgettable experience with Australians. Marlene was such a lovely girl to have in our home. She was always smiling and always so sweet and happy. She tried her absolute best at everything she did and everyone adored her. She is a talented rider and she schooled the horses beautifully. She was also lovely with the children and they just loved it when she helped them with their ponies… read more at home and at pony club. Nothing was ever too much trouble for Marlene and we were so lucky that she decided to come back and help us for a few extra weeks after she'd been travelling. Hopefully we will see Marlene again one day. I like this place very much. I have been at Amanda's farm for 3 weeks and I was allowed to ride the horses a lot, which was very nice. I slept in the house and it was very comfortable and clean. The work varied from day to day and wasn't too hard. Amanda was very thankful for the work we did and so it was a nice atmosphere around all the time.… read more The whole family is very friendly and the kids are so cute! Amanda and Brett were helpfully and flexible. I am really thankful that they went into our wishes. For example if we wanted a special day off, she made it always possible. Two times, I went with Amanda and the kids to the Pony Club. We had a lot of fun. There is even a car only for the workers which we are allowed to use for grocery shopping and for sightseeing. So all in it was very nice there and I have already decided to visit her again in a few weeks. We have had so many absolutely amazing Workaway girls and Hannah was certainly a favourite of everyone's. She is a very talented rider and schooled the horses beautifully. They all improved so much while she was riding them. Hannah was also such a pleasant person to have around and in our house. She quietly did everything so perfectly and I… read more think she also made many lifelong friends while she was at our place. Thank you SO much Hannah! I've spent almost 2 months with Amanda and her family. Most of the time I was riding the horses which was quite difficult in the beginning. But you are definitely getting more confident after a while and as you get to know them you are able to enjoy them very much. In the end I felt really sad to leave them alone. Once Amanda gets to know you and… read more your stage of riding she entrusts you all of the horses and her really good ones as well. I really appreciated that. Besides schooling the horses I was helping the other girls with the daily work as feeding up or mucking out. Furthermore I really enjoyed to join Amanda and the kids at Pony Club or to a trip to Wisemans Ferry. She really tries to take you to every exiting event. To describe the personality of Amanda I would say that she is a reserved person but as you get to know her better you are definitely having funny and good conversations with her. As Amanda has written in the description she is a really busy person but I can understand that she wants to spend every second of her free time with her children. To conclude I can say that I had a really great time with Amanda and her family and I just want to thank you for everything! I am looking forward to see all of them soon. Jo-Anne and Jason completely became a part of our family when they stayed at our farm. They were both such responsible, diligent and hard workers. Jo-Anne was amazing with the children and the horses and had such a lovely calm and gentle way with both. The children just loved her and she even coped so perfectly when they were naughty! Jason… read more was so clever and practical and got the whole farm in ship shape order, nothing was ever too much trouble for him and he always had a smile on his face. All the clients also loved them both and we were all so sad when after many months they had to leave and explore the rest of Australia. I'm sure we will see them again! We should have stayed at Amanda's Farm for three weeks but Amanda offered us to stay longer, so we finally stayed for three months. Because of that there were more helpers at Amanda's Place as calculated and some of them had to sleep on the couch but never for more than one week and Amanda tried to make it as much comfortable as possible for… read more everyone. We lived in the small, furnished plain flat with Kitchen, Bath and TV. Our bed was in a separated open corner which gave us some privacy even when the other Workawayers were around for cooking or showering. The only "problem" in the flat where some mice in the walls which you could hear running around during the night. But they were no big problem at all when you closed all the food stuff especially the candies. We saw the mice just rarely. Work begins at 8.00 in the morning with feeding the horses after that there are different jobs to do during the day like mucking out, going on the trail with the horses or playing with the kids. We fed the horses at 4.00 pm again so that we were finished between 5-6 o'clock. The work was not too hard, the most of the time we had many breaks between the tasks. Just some days were very busy where you almost had to work for 8 hours but we think that these busy days can happen everywhere and Amanda was never mad when we didn't manage to get one of the tasks done. As reward for our work we were allowed to buy every food we like at Aldi and we had the opportunity to use a car for visiting Sydney, the blue mountains or to go to other places during our day-offs. Amanda and Brett are very busy but you can talk with Brett in the evenings around his fire bucket. We also had fun evenings and good chats together with Brett, Amanda and their Kids in the house eating some Pizza or making a BBQ. They are a very busy but lovely Family. All in all we really enjoyed our stay at Amanda's Place and the work. I Joe-Anne loved to work with the horses and Jason enjoyed to help Brett with Farm stuff like repairing fences or painting posts. We thinks it's a lovely place and it's worth going there. We will probably visit Amanda and her Family again before we leave Australia. At last but not least we really want to say thank you for the opportunity to stay at this beautiful place with this lovely family. Alice was like a breath of fresh air from the moment she arrived at our place and it was love at first sight for our children, they wanted to spend every spare second with her! It's girls like Alice who make Workaway such a wonderful organisation. We really hope we will see her again one day, I know the children will never ever forget all the… read more amazing times they shared with her. Alice was particularly amazing at getting Toby riding confidently on his new pony. He even got up early before school so he could go riding with her. Alice is a very special person and will succeed in everything she does I'm sure. Thank you Alice!!! I stayed 2 months and 1 week with Amanda and her lovely family. 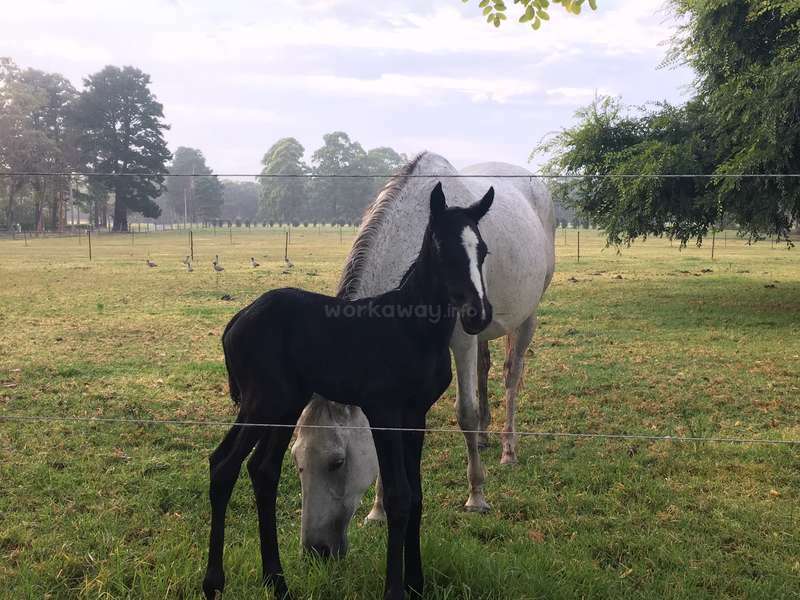 It was my first experience with Workaway and I absolutely enjoyed the whole time at the farm. My tasks reached from looking after the children and play with them or take them riding to help with the horses and the varied work outside. 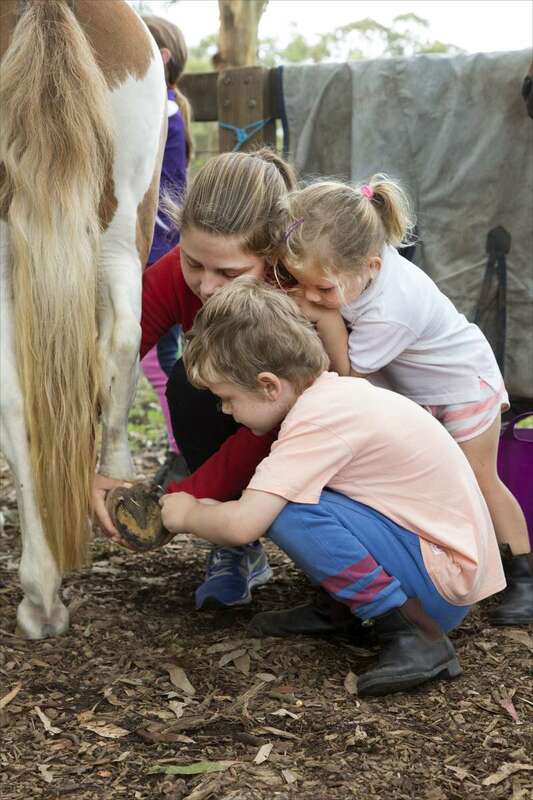 If you like working outside and if you are… read more enjoying horses and kids you will love this place for sure. During my stay I had my own room in Amanda's house with an heating blanket, a fan, a cupboard and a mirror. The room was really light and friendly as it has a glass front in front of the double bed. For cooking and using the shower I went to the granny flat which is clean and comfortable if you leave it tidy after you've been there but that is up to you! All I can say about Amanda is that she is such a lovable person who really tries to make your stay as enjoyable as possible. Additionally she is that kind of person who is really grateful and rewarding when she is seeing that you put effort in the work you are doing! I had the chance to come with her to a competition, to the Pony Club, to her huge yard at Wisemans Ferry and to every other interesting activity which is worth to see. As already written in the other commentaries she is texting you via text messages or WhatsApp but that is the easiest way to exchange informations as you are sometimes at the other end at the property or when Amand isn't at home. As I was staying two months with the family I got to know almost all of the clients of Amanda and I loved to meet all these friendly people and I felt like being part of the business. Besides in my view having a car which is just for the helpers at the farm is really luxury and should be valued a lot from everyone who is visiting Amanda. I will definitely miss all these lovely people and the gorgeous family a lot and I will try to come back and visit them for sure! We absolutely loved having Emily at our place. Right from the start she had such a wonderful 'can do' attitude and she was always happy! The children adored her and she had so many ideas for fun and creative things to do with them. All our clients also loved her and I think she made many lifelong friends while she was with us. We were so sad… read more when Emily left but we knew she couldn't stay forever. I'm sure we will see her again one day. Such a great girl!! I spent 10 weeks in total with amanda and her family. They are such a lovely family and always around for any help you need. Her two children are gorgeous and very cute. It was a pleasure working and helping out with the farm and family. I didn't do too much riding but loved going on the trail with the horses, I had the chance to ride one of The… read more horses when I wanted as well which was really good as I am trying to get my riding skills back up to scratch. I was doing around 10 hours a day ,most recently only around 5 hours, but it never felt like it, most of the time the other girls I was with were really nice and we took day trips to surrounding places in our days off. We would be doing most things you would expect around a farm, mucking out, getting horses ready to be riden, there was quite a bit of raking to do from all the trees but being with the girls made it easier and you could just listen to music or chat away. Some of the mornings we got up extra early which was difficult but that was to get out the mid day sun. Some days it was hitting 35+ for the day so we wanted the jobs to be done early and then we could have a sleep during the day. We had A/C in the flat which was very helpful when it was hot! The amount of horses changed a few times I was there the most was 24 and the least amount was 16 so was never too busy. Amanda and her husband Brett were both very helpful and would help us as much as they could with fixing things around the flat or telling me out with an application I needed doing while I was out there. They also made me feel so welcome into there family and their day to day lives. If I didn't have my flight planned home I would of stayed longer. It's such a lovely farm and all the owners are so nice and friendly and you can get Chatting to them for ages. I was sad to leave and leave all the friends I had made on the farm as we made a good team and if your thinking about working here I totally recommend it. We had a few hard days working but it would equalised on another day and we could be done in 3/4 hours which was weird to hit do anything. I was here for 10 weeks with a two week break to visit New Zealand and it it's one of the best things I have ever done and will remember all the memories and people. I spent 3 weeks with Amanda and her family and I really enjoyed my time there. Her two children Toby and Daisy are gorgoeus. I worked with the horses, around the house and did some childcare. General work was feeding the horses, grooming, preparing horses for lessons, mucking out, raking the leaves and picking up sticks. With the children I loved… read more jumping on the trampoline or "playing horses" with Daisy inside. A couple of times per week we could ride on the trail with some of the great and healthy looking horses (env. 25 in total). I could also ride a horse and a pony on the arena. The working hours were often more than the 4-5 hours but when you are a good team of volunteers it is ok to handle it. I had a nice and clean room inside the house. The kitchen was in the grany flat and more of a camping kitchen. You will prepare and eat all your meals with the other volunteers in the grany flat. We went shopping for food every few days and I liked that you can buy what you like to buy. The bathroom in the grany flat is old and it is hard to keep it clean because of the many people who use it. It took me a while to get accustomed to it. Amanda tries her best to make you feel comfortable - you have just to ask for what you want. For example we could buy a new shower curtain or have 2 or 3 days off to visit sydney with another volunteer. She has also a car just for the vonlunteers which is great! On my last evening Amanda organised a pizza evening with everyone together which was a nice touch. If you are able to work, love being outside, with horses and children and other volunteers than this is the place to be. Thank you a lot Amanda for everything. I will take away lots of great memories. Dani didn't actually come to our farm via Workaway, I didn't even realise she was a Workaway member. Although we made it very clear we had too many girls here at that time, we agreed to host Dani as a favour to a very good friend of ours whom Dani had stayed with previously. Our friend really pushed for us to host Dani because she hoped Dani… read more would get to do lots of riding here which is apparently what Dani really wanted to do most of all. Dani told us the date she was coming to our place and we did our best to accommodate her as comfortably as possible and give her lots of horses to ride. Most days that she was with us, Dani had not much else to do except ride horses which was what I thought she wanted to be doing (and she did a great job with the horses). She didn't ever tell me she wanted to do less riding. 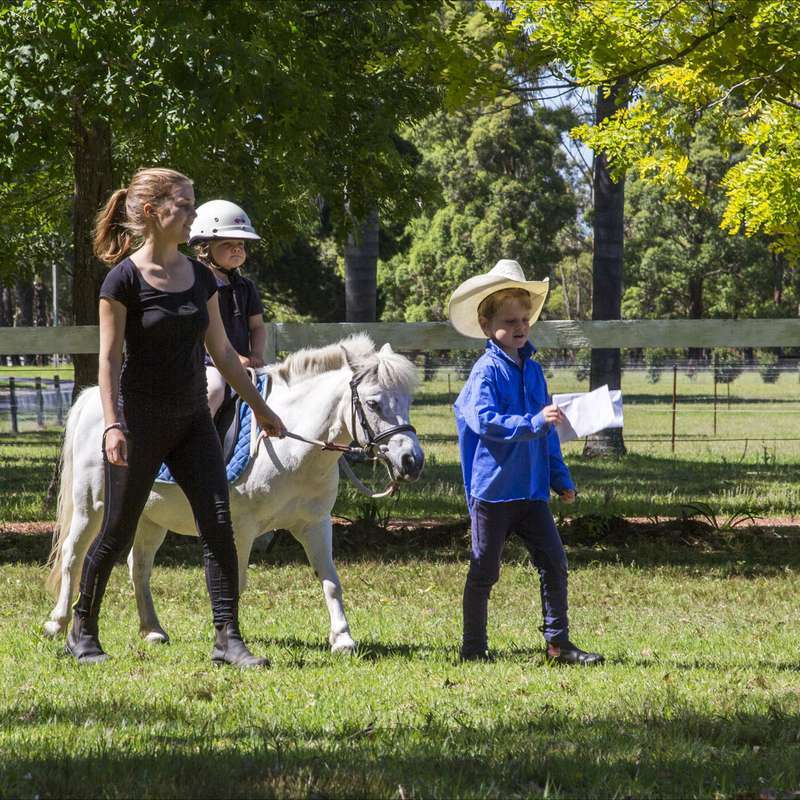 We have had so many lovely young travellers come and stay at our farm and work hard helping out with the horses and children and really get involved with the running of the horse business. We hope to stay in contact with many of them forever. 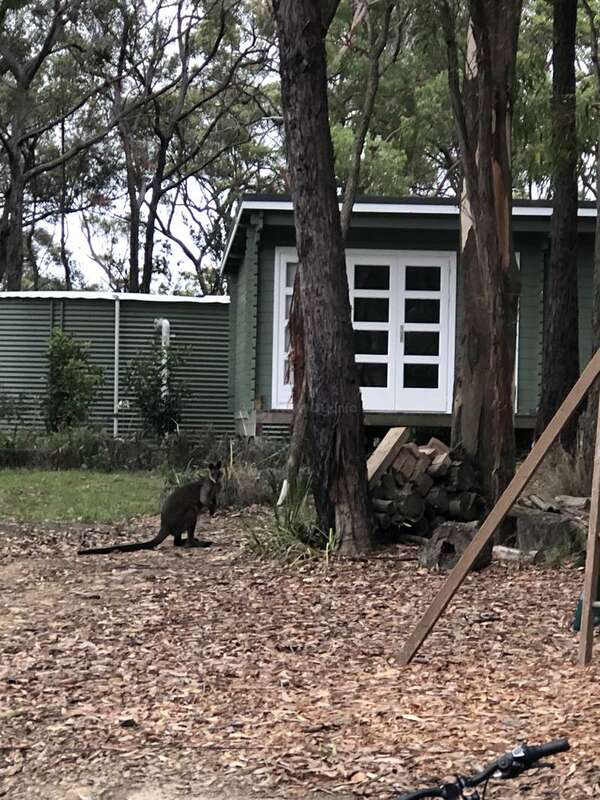 They can have such an amazing time getting to know all our clients and all our animals and generally enjoying living on the edge of the Australian bush (but not too far from the bright lights of Sydney!). As I've said before in response to some other feedback, I don't have much time at this point in my life to sit down and have long conversations with the girls who come here, my young children are my number one focus and they will be for a long time. I will however always make sure the girls who come here (and that included Dani) always have like minded travellers to work with, have fun with at nighttime and to take the car with and do fun things on days off. There are many positive things about staying at our place, but I'm not an outgoing person who talks all the time so spending huge amounts of time talking to me is not one of them. It's just such a shame that it's the girls who stay for only 1 or 2 weeks and barely get to know us, seem to be the ones who have so much to complain about. Some short term girls have said they wished they could have done more riding, Dani seems to be complaining that she had too much riding to do! As for the 'very dirty flat', a far more intelligent and mature way to handle that situation would have been for Dani to communicate to me that the flat was not clean so I could actually do something about it, but Dani said nothing to me while she was here. The first I heard about it was when I read her feedback. I had asked the 2 people who had been staying in the flat before Dani moved in to spend their last morning cleaning the flat and to make it 'spotlessly clean' before they left. Most of the people who stay in the flat do leave it lovely and clean so I never feel the need to play school mistress and check their house work. If Dani is to be believed, it seems that this was not the case this time, but it really is impossible for me to rectify a problem that I know nothing about. On her final day at our place Dani asked if she could have the day off so she 'could do her laundry' and of course I said yes. Dani was very aware that the Corolla that she and the other girls have the use of should only be taken to close local attractions or to the train stations (and then they are able to get to the city, the Blue Mountains, Central Coast, Newcastle etc) as it's an old car. Instead of doing her laundry on her last day Dani took our car and decided to drive 2.5 hours to the Blue Mountains without even asking if this was ok. If she had been polite enough to ask or tell us what her plan was, we would have said no (especially as she was going alone), as although it's regularly serviced and had brand new tyres, it's an old car and really not up to a big drive up the mountains. We would have certainly checked the oil and water in the car before she left if we'd known that's where she was heading!!!! Sadly Dani's last day ended up being a day from hell and maybe this has more to do with her negative comments than anything else. The poor car blew a head gasket just before Dani reached the top of the Blue Mountains and had to be towed off the highway and then Dani had to catch a train to where we could go and collect her and bring her home. So she missed out on her day of sight seeing. We didn't reprimand Dani for what happened or even mention it, she came and had pizza and lots of wine with us for her last night. Sadly Dani didn't have the good manners to apologise for taking the car on a huge drive without asking. Anyway, we have bought a lovely new car for the girls who are here at the moment and those who come in the future to drive around and explore all the amazing things in our local area. They have Dani to thank for that!! That was my second experience with workaway and I'm really disappointed because Amanda treats everyone as staff and expects 8-10 hours work per day rather than 4-5!!!! She should get staff and pay for it and not taking so much advantage of travellers! She barely talked to us and if so she seemed to feel very uncomfortable. She prefers… read more conversations ( aka job instructions) via text messages. These kind of hosts should be way more familiar and happy to meet new people. My first family showed me around a lot and let me be a part of the family and I have a lot of nice contacts all over Australia after staying with them. Don't think it's like this at any point at this place. I stayed 2 weeks at Amanda's place but I really should have left earlier (even though I really liked the other girls). When I arrived there were 6 other German backpackers which means I had to sleep on the couch for a week with no privacy at all. That hadn't changed when I moved up to the flat (which was very dirty and the rats are coming every night eating our food and mouse poo was everywhere between my clothes in the end (I gave everything a huge wipe before I moved in!)) as soon as 3 persons have left. I'm sure it's much more cozy if you have a room in the house because you have some privacy and WiFi and reception. I think it's good for someone who doesn't care about learning something about the Aussie culture or speaking mainly English (of course this depends on the other workawayers) and if you're lucky and get a room in the house. We absolutely loved having Amanda at our place. We wanted her to stay forever! For our children it was love at first sight, they had so much fun with her, riding their ponies and doing lots of fun things. Amanda did heaps of riding while she was with us and she schooled all the horses beautifully! We were all so happy when she came back to… read more visit us last weekend. Hopefully we will see her again soon!! I spent four weeks with Amanda and her family at their beautiful yard, and if I could have stayed longer I definitely would have! Amanda and Brett picked me up from the train station when I arrived and I had a lovely private room during my stay. I worked quite a bit with the horses and spent a lot of my time schooling out in the sun, my… read more idea of heaven! Amanda provided some handy training tips for the different horses and ponies, and I was able to ride in a really relaxed atmosphere. 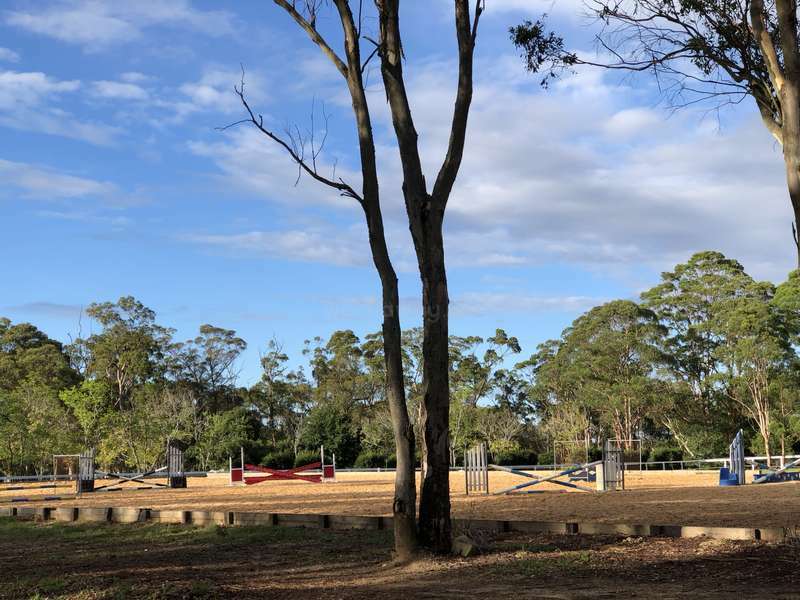 There's a big arena, a paddock with jumps and the beautiful trail to take the horses up for a walk, so lots of options to keep the horses fit and happy. I was so lucky to be able to work with a couple of her gorgeous youngsters and I can't wait to hear how they progress in the future. I even had the chance to take one of Amanda's client's horses out cross country training one day which was loads of fun! Amanda's kids are so cute and a great source of entertainment! I loved helping Toby with his new pony, especially at pony club, and bouncing on the trampoline with Daisy. The days fly by at the farm and it's just such a lovely place to be. It was my birthday during my stay and Amanda was so kind, getting everyone together for pizzas! I'd definitely recommend volunteering here. This wasn't my first workaway experience and I was disappointed... To me workaway is all about the exchanges. I was exited to work with the horses but also to spend time with Amanda's family to get to know the Australian culture better and to chat about horse riding, comparing the way people ride in our countries and such. I also thought that we… read more would be able to ride and that I would get the opportunity to improve my skills during my free time. I was there with a friend that I had met in Melbourne a few weeks earlier. Unfortunately Amanda is very busy and during the week we were there we didn't spend much time with her. We got to go with her to a horse riding lesson but were watching her lovely daughter while she was teaching. The work on the other hand was nice. I enjoyed taking care of the horses very much. They are amazing. I wasn't expecting to babysit that much but we took turns and the kids are lovely. I wish we could have rid more, we only got to go on two 30 minutes rides during which we could only walk. We were supposed to stay for three weeks but had to leave after one because we unfortunately got sick. This might seem a negative but it was a good experience and it's a nice place it just wasn't what I was looking for. I would recommend it to friends who like working outside and taking care of kids and aren't looking to spend a lot of quality time with the host. We thought Sally was lovely! 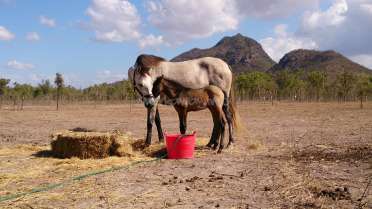 We were away on holidays for the first 3 or 4 days that she had at our place so she had an easy few days just learning how to feed the horses and going on fun trail rides. We then had a pretty crazy week when we returned because there was a lot to catch up on. Sally shared our granny flat with a fellow German,… read more Annika and it's a shame neither of them enjoyed their time with us. We have two young children and our house is total chaos at nighttime. Most girls in the past have absolutely loved that they have their own peaceful area to relax and watch tv. Many have been so excited because it's been the first time they've had a space to call their 'own'. Our son goes to school 5 days a week and our daughter goes to preschool so Sally didn't really spend all that much time with them. When she was with them she seemed to be having so much fun, I had no idea she wasn't enjoying herself. On one of her days off Sally seemed so happy and willing to show Annika which gear a couple of the horses used. We enjoyed having Sally with us and hopefully when our children are older and my business has started to slow down, I will have time to sit down and have long conversations with the lovely girls who come to our place. In the meantime we will always ensure they have nice like minded fellow travellers to spend time with and take the car with so they can go and do fun things on days off. I spent 1,5 weeks with Amanda and her family. It was my firat experience with workaway. Unfortunely, I haven't had a comparison to anothrr family or how it normally works. Basically, I went there to improve my engkish skills and learn more about Aussies and the Australian culture. The first few days I was alone with two other wwoofers, who… read more picked me up from the train station too. They showed me everything. After a few days, Amanda and her family came back from holiday and she run straight into a lesson. We haven't had any big conversations. I lived with another girl isolated in the granny flat close to the house. We cooked there by our own. Normally, she texts the daily tasks via SMS. Thats the reason why you should have your mobile every second with you. Also a negative point has been the working hours which were definitely more than 4-5 hours per day. On my "Day off" I had to teach the other girl some staff. So it wasn't really a day off. Sometimes we went to some places with Amanda, for example to the pony club with the kids and to a paddock at Wisemans Ferry, where the farrier was coming. It wae interesting to see, but it's a shame that we haven't had any longer conversation at these places too. It seems like Amanda wasn't really interested in talking and charing culture with us. The last evening I had a longer conversation with her husband Brett who is very friendly! In my opinion Amandas farm is suitable for two friends, who are travelling together and love to mind children and spend a lot of time with them (because you haven't a lot of time for a ride) and also who want to stay by their own. We are a very busy family, Annika was only with us for 6 days and it was an exceptionally busy few days for us. 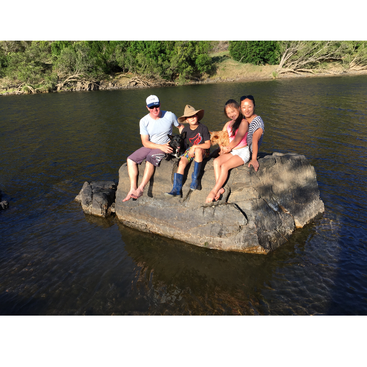 It's a shame Annika chose to only say negative things about her stay with us and managed to omit the fun family day we all had at pony club, her trip with us to beautiful Wisemans Ferry and her rides down the trail. Annika was so lovely… read more with our children and they had a lot of fun with her in the limited time they spent with her. She is amazing at drawing! Annika did not have a working mobile phone so at no point did she receive an SMS from me. While she was with us Annika lived with a really lovely happy smiling German girl. They shared a very nice, newly renovated self contained flat beside our house with reverse cycle air conditioning, tv, dvd etc etc. Annika even had a dinner party while she was with us and invited some new friends she made while she was here. The next time Annika stays with a Workaway family she will hopefully arrive with a smile on her face and a happy positive attitude. I spent one week with Amanda and her family. I went there to experience another culture and to improve my english but I lived isolated with another girl in a shed and the only opportunity to get in touch with the family was minding the children. The only longer conversation I had with Amanda was in the car from the train station to their place.… read more She mainly sent the daily tasks via SMS . The working hours are the next point that has to be mentioned because we had to work much longer than it is written on their profile. Also our day off was not really a day off because there was always the question: Would you mind to do this and that? Unfortunately, there was nearly no spare time to ride. I think this place is a place for friends who are traveling together, who like childminding ( because there will be much more childminding than horsework) and who want to stay on their own and don't want to be included in the family life. Help maintain a veggie garden in the hinterland of Byron Bay, surrounded by some of Australia’s most beautiful countryside. 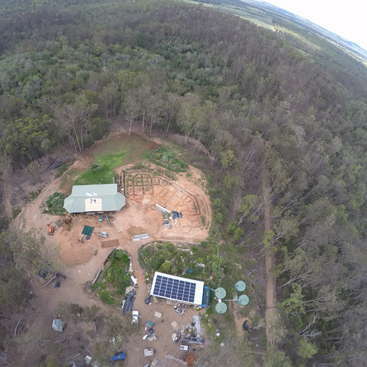 Calling all green thumbs, gardening help needed in Queensland countryside.